The crypt is freezing cold and snow is pouring in whenever I have the courage to open the door to take a peek at the blizzard outside. What? What did you just say?! I should shut up about the weather and instead tell you some about when V:TES is back in print? Sorry. The official V:EKN news about that is still: Not much can really be said about the state of the game, except we are working on its resurrection. After a successful Bologna event, the European Grand Prix moves on to Mechelen, Belgium, the last weekend of February 2018. Friday night is a sightseeing trip, Saturday is a Sabbat-themed draft tournament and Sunday is the big constructed Grand Prix event. For more details check out the VEG site, the official forum announcement or the event Facebook page. Yes, until we hear something else, there are still packs of Berlin Anthology left at the PDA web shop. Including Ashur Tablets, Enkil Cog, Monastery of Shadows as well as many never before printed cards, these packs are indeed worth 30 euro – don´t hesitate! Hello Nicola, congratulations on winning Grand Prix Bologna! Have you won any other big tournaments before this? - Thanks. 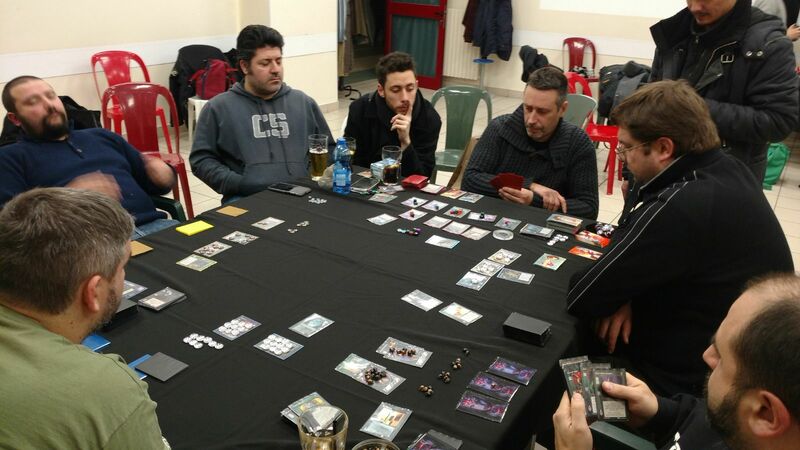 Yes, I won an Italian ECQ qualifier and a tournament in the Italian Championships, but this was the first tournament I won with international presence. Before this I made a Day 2 final at EC Mannheim 2014 and a Day 1 final in EC Genova 2016. What deck did you play in GP Bologna? Why did you choose that deck? - I played a Malgorzata/Lord Tremere toolbox with auspex, vicissitude and thaumaturgy, similar to the deck Pau Vilar won EC Genova with. I chose it because I thought there would be a lot of blocking/combat-decks and political decks. The deck has votes, combat cards and big capacity vampires which I can try to manage the game with. What is the deck's strengths and weaknesses? How do you play it? - The strengths of this deck are the pool management and a combat model which hurts combat decks, like Theo Bell/Beast rush, and blocking decks, like Ventrue grinders, or other decks which play fortitude. Normally you need three turns to wake Malgorzata. Then the show starts. If somebody wants to block your special minion's action they need to think about whether they can survive the combat. The weakness is that the deck is a toolbox. It tries to do bleed and combat and politics and block. Sometimes you have a block card but no combat cards, or a political action card when you need a block card. Normally you play slowly. You need some turns to set up and bring out big cap vampires, then go forward to put pressure and try to block your prey's key actions. How were the preliminary rounds for you? - In the first round I made a mistake with wakes which killed me, but the other two rounds were great. In the second round I burned my predator's star vampire with an Amaranth when he blocked my first action. The third round was a four player table where I cooperated with my cross table ally, but I had more resources than he did when we were heads up. How did the final table look like? - When I sat down at the final table and looked at the other players I thought “OK, I do nothing”. Alain was playing the deck that killed me in the first round, and all other decks had combat ends or dodge cards. So I was pretty sure I was going to be the first victim in this final. Well, now we know you managed to win by taking the only victory point before the time was out. We want to know more about you. When did you start playing V:TES? - l started in 2012 when a friend introduced me. My first deck was a Toreador antitribu breed and boon-deck. What decks do you generally prefer? Do you think you have a special “style” of playing? - Usually I play a Giovanni Shambling Hordes-deck, either as a rush-deck or more bleed-oriented. Giovanni is my favorite clan. I feel those decks have a good possibility to manage various threats. But no, I don’t have a special style of playing. I try to estimate the meta and then build a deck which I feel comfortable with in that meta. Do you have any new deck or tech that you are trying out? - Right now I am working on anarch tech. Ally, political and wall deck. Thanks for the interview Nicola, and good luck in the future! January: The first of the monthly newsletters crafted by Henrik Klippström is launched. January: Round 1 playtesting of the bloodlines set begins, as well as playtesting of the new Berlin Anthology cards. February: Sign up for EC 2017 starts – this time it´s an open event. February: Card list for the Berlin Anthology set revealed. April: Previews of the new Berlin Anthology cards begin at V:EKN.net. Several clarifications, new wordings and new card backs! May: EC 2017 Day 1 is won by Francois Greiner (FRA) with a Ventrue princes with sticks deck and the EC 2017 champion is Danilo Torrisi (ITA), playing a Saulot & The Capuchin anarch wall deck. June: Week of Nightmares in Ohio. The NAC 2017 champion is Martin Weinmayer (AUT), playing his classic Gangrel Stanislava sb/vote deck. July: Site of EC 2018 revealed – it´s Warsaw! July: First previews of artwork for the bloodlines set. 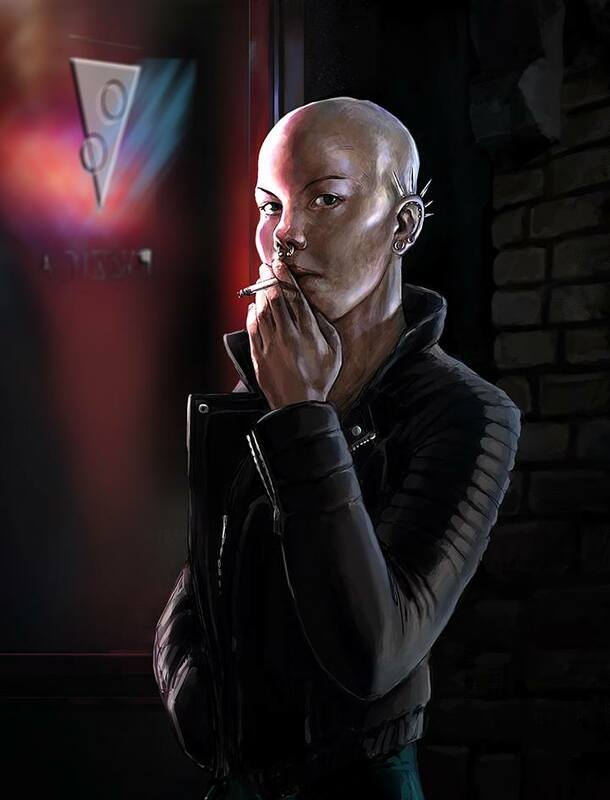 August: Worldofdarkness.com is launched – the V:EKN encourages all players to contribute. 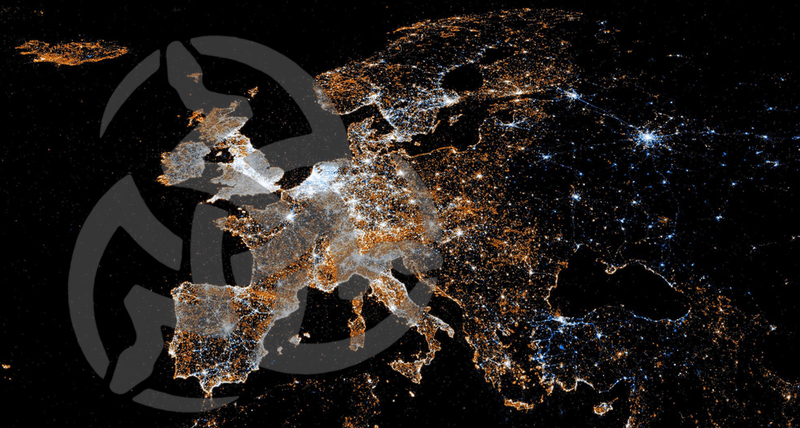 September: The European Grand Prix is announced, with five cities hosting 2017-2018. October: We celebrate V:EKN 20th anniversary! October: Elzo Benzaquen wins the South American championship with a very interesting Gangrel antitribu deck, and Simon Reed wins the Australian championship with a Daughters of Cacophony vote deck. November: Four rules changes are proposed – please feedback at our forum or through any channels listed under "Contact V:EKN" at the bottom of this newsletter. December: The upcoming bloodlines set that has been under construction the whole year is in its last stages. Many rounds of playtesting are done, all artwork is done, name and symbol of the set is almost decided, and we hope for a launch really soon. 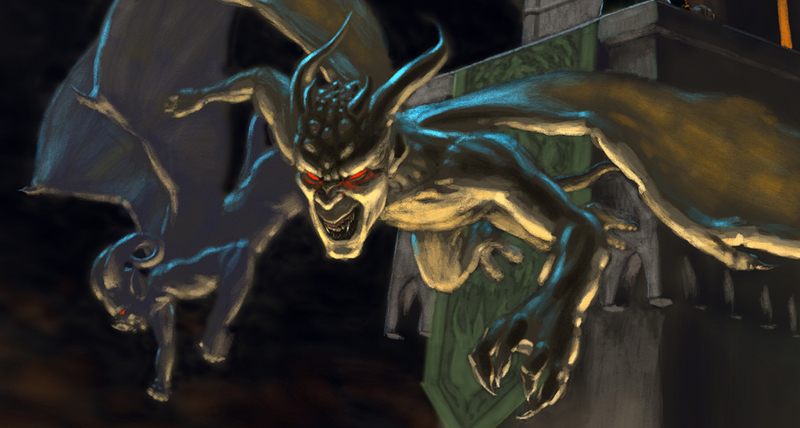 At the top of this newsletter you can see yet another preview of some Gargoyle artwork by Ginés Quiñonero. "The game never ends when your whole world depends on the turn of a friendly card." Landed any 8-pool bleeds lately? Maybe a Parity Shift for 5 with added Voter Captivation for 13? No? Then you´re not just trying hard enough! This month we keep the letter short and sweet, because there are no real news about that stuff you really want to hear about. But then again, can it be more interesting than new V:TES rules changes? The V:EKN are considering rules changes. No decisions have been made yet, and we are interested in feedback from the player community. At the start of her influence phase, the player gets 4 transfers, except on the first turn of the game where the first player gets 1 transfer, the second player gets 2 transfers, and the third player gets 3 transfers. Like master phase actions, transfers can be spent for different effects, and transfers that don't have been spent are lost when proceeding to the next phase. · Spend 4 transfers and pay 1 pool: draw a crypt card. · Spend 4 transfers and pay 1 pool: merge a base and an advanced version of a vampire. Some cards allow to spend transfers to produce other effects. Some cards also grant additional transfers. At any time during this phase, if a vampire has at least as many blood counters as his capacity, the player can move to the ready region that vampire. The blood counters on the vampire stay on him and become his blood. Blood counters in excess to his capacity are burned (see sec. H.1. Crypt cards). If the vampire grants additional transfer, those can’t be used on this turn as transfers are gained at the start of the influence phase. tl;dr: Vampires now do not come out all at once at the end of your influence phase. Instead, you order bringing them into play as you wish during your influence phase (and it's not mandatory to bring them out if they're at full capacity), resolving effects for them as they come into play. You can´t contest yourself anymore by "accidentally" moving a vampire you already control into play (hopefully Jimmy Dunn is still unaffected). You still only gain transfers at the start of your influence phase, so you don't get 2 extra transfers the turn you bring Ingrid Rossler into play. Why are we changing this? 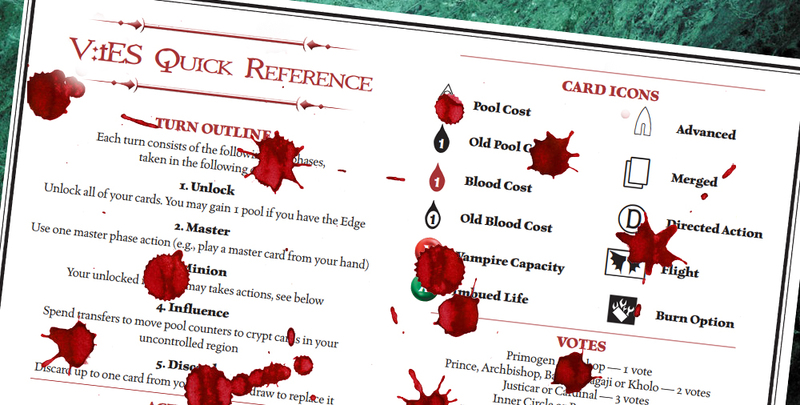 The strategic value of the current system is very low, and has always been a source of mistakes (a player brings out a vampire, then influence some more), breaking moves ("accidental" self-contest), and difficult rollbacks (a vampire with enough blood should have come out the turn before). Changing the rule puts the influence phase on the same level as other phases where effects can be ordered as you want, removing an extra step to learn. It has some incidence on a few cards (such as Anarch Convert or Angela Preston), and allows people to Govern down many times on the same vampire, but playtest done so far has not shown any abuse. Self-contesting vampires would now be prohibited to follow the same rules as library cards (it never made sense to have two different rules). The anarch trait has always been tightly associated to the Independent sect: a vampire that would change sect would lose its anarch status. With the announcement of Anarch being a sect in the upcoming fifth edition of the Vampire the Masquerade roleplaying game (“V5”), we consider changing the anarch trait to a new sect. Cards that were previously requiring an Independent vampire would then require either an Independent or an Anarch vampire (e.g., Reckless Agitation). Most cards with a "go anarch" effect will be de facto cleaner since changing sect would automatically remove the vampire from the Anarch sect. The rule stating that Caitiff are clanless, while true to the canon, has had negligible impact on games of V:tES. For the sake of consistency, we are considering removing that special case and treating Caitiff as a clan. This would also allow us to create clan-specific cards for Caitiff - it is currently not possible as a Caitiff cannot meet the clan requirement of a card if they have no clan. Recruited allies will now go to a new region that is part of the ready region, called the recruit region. The behavior will stay the same (allies in the recruit region can't act or block), but will avoid having an ally "placed in your uncontrolled region, even though it is controlled, to indicate that it cannot act this turn". There are also some other rule changes being considered. In the meantime, feel free to discuss the changes mentioned above and other changes you may think of on the V:EKN forum or in social media. The Rules Team will keep a close eye on your comments! Yes, there are still a some packs of Berlin Anthology left at the PDA web shop. Including Ashur Tablets, Enkil Cog, Monastery of Shadows as well as many never before printed cards, these packs are indeed worth 30 euro – don´t hesitate! Kari Hyll won the UK National Championship last weekend, the as of yet greatest achivement in a long and generally high standard V:TES career, in Sweden, Canada and England. 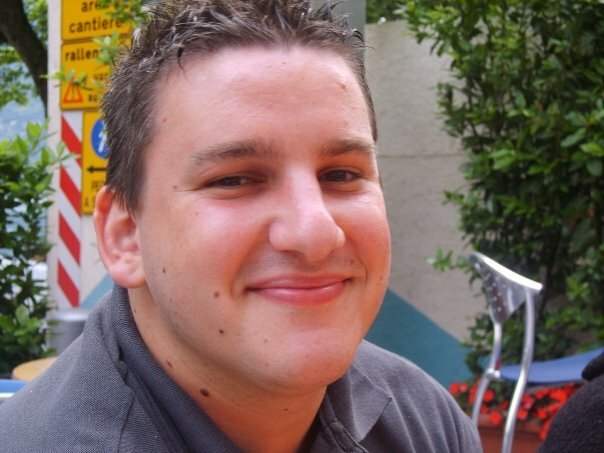 Kari is a calculating player with original ideas, so we thought a chat would be interested for you to take part of. Congratulations on the victory Kari! What deck did you play and why? - I played a block’n’vote master deck based on Angelica, the Canonicus. The UK metagame is violent so I wanted sometehing that would be fairly rush-resistent. I also wanted to stealth vote. I recalled seeing Randal Rudstam playing a similar Angelica-deck once, so I put a deck together the day before the tournament. Always a bit risky with an untested deck, but as long as it’s a deck I look forward to playing I will have a fun tournament anyway. - The strengths of the deck is that it’s resource efficient. It doesn’t have any wakes, but relies on Metro Underground and/or Moncada to keep Angelica untapped to play Obedience. The ability to throw away masters for intercept allows you to play with more crypt acceleration and Parthenons so that you can get key cards early. The six Ashurs are then used to recover cards like Obedience and votes. Its major weaknesses are bigcap rush (which luckily wasn’t present in the tournament) and that it is a bit slow in dealing damage, due to lack of multiact. How were the preliminary rounds? - Overall, my deck flowed well and had strong starts and good survivability, but was a tad too slow. Two tables timed out, with me getting a few scattered VP’s. In the third game I got two VP’s but ran out of deck, partly due to sacrificing an Ashur Tablet for intercept (denying a Sudario Refraction and allowing me an oust next round). With no deck I couldn’t get past Hugh Angseesing´s two Raven Spies, and he got the two last VP’s in that game. And how was the final? - I was 3rd seed into the final. I didn’t know what the 5th seed-player was playing, so I went for preying on Hugh instead, knowing that his Gangrel/!Gangrel toolbox deck was annoying, but manageable as long as I had Obediences. I wasn’t too pleased when the presence vote deck chose to prey on me – it was obvious that we would compete on votes, while we otherwise could have been allies. The Rachel Brandywine deck chose to be my prey, which meant I was between the two other decks with votes – not an optimal seating. - My initial libary draw was lousy – I only had one transfer, and I didn’t draw any crypt acceleration. So I chose to go for Alvaro instead of Angelica as first minion, to get some votes to counter the Praxis Seizures of my predator. My grandpredator blocked a few early votes by my predator, which slowed him down a bit. After turn three I got some crypt acceleration and could start getting Angelica out, who became a Legendary Vampire. Eventually Moncada followed. The table changed rapidly when Rachel Brandywine got Rötschreked by Hugh, followed by diablerie. I decided on burning Hugh’s diablering minion, earning a grudge from him. I waited with ousting for a few turns as I didn’t have any Obediences in hand and didn’t want to oust and end up next to Hugh’s Deep Song-rushes, but becoming low on pool forced my hand and I took the VP. When Angelica was Archon Investigated by Hugh shortly thereafter I was sure my game was over – I lost the slight vote overtake I’d had on my voting predator, and also my only way of blocking his actions. However, time was running up and my predator had a bad draw, so I managed to just survive until time was up, with one pool left. What about your V:TES background, when did you start playing the game? 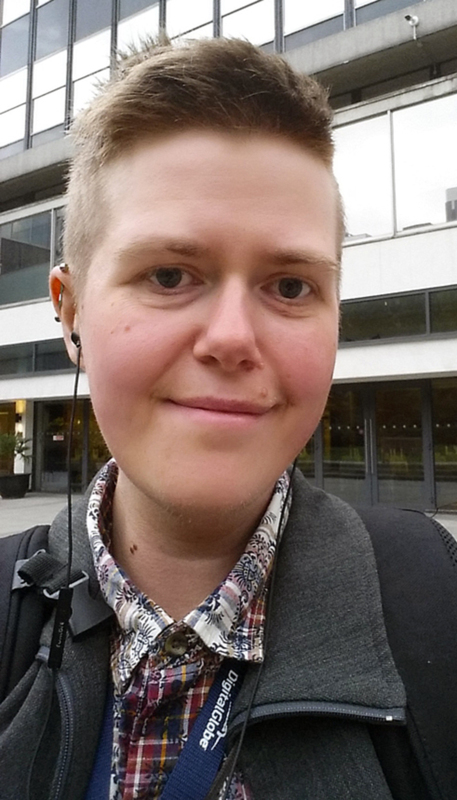 - I started playing V:TES in 2004 when I moved to a town in northern Sweden for a year. The local gaming club mainly played Warhammer 40k and V:TES, so I chose to learn the latter, already having encountered a bit of White Wolf fiction before. I started with two of each of the Final Nights Setite and Ravnos starters. I think it took me half a year to get my first VP – lucky that I was patient! What decks do you generally prefer? - I love toolboxes, but the printing of Villein forced me to change my playing style – toolboxes just didn’t deal enough damage any longer. The three decks I’ve worked most on during the last few years are my Blood Brother block deck, my Sha-Ennu powerbleed deck, and my Assamite Royalty vote’n’bleed deck. I will rarely play grinders or Inner Circle decks - they bore me. - I would say that my play is prey-oriented. Just let me play my game so that I can try to oust my prey. I rarely make VP deals, or any other big deals. I prefer decks that don’t casually oust just to get to the triad. Also, my decks are always rather thick – I rarely go below 75 cards. Do you have any new deck or tech "boiling" you can warn us about? - I’m currently experimenting with a weenie Chimestry “costs 3 blood to deflect” deck. And I’m still trying to find the right thing to do with Mithras. Thanks for the chat Kari, and good luck in the future! Our crypts might have gone cold, but luckily the blood is always keeping us warm. Welcome to this month's newsletter. Isn´t it interesting to have a look at what decks are played in other parts of the world? Below you have the great opportunity for you to become familiar with two different metagames, as we publish reports from both the South American and the Australian championships. We also advertise some cards and some events and talk to an artist. But first: Time to celebrate! 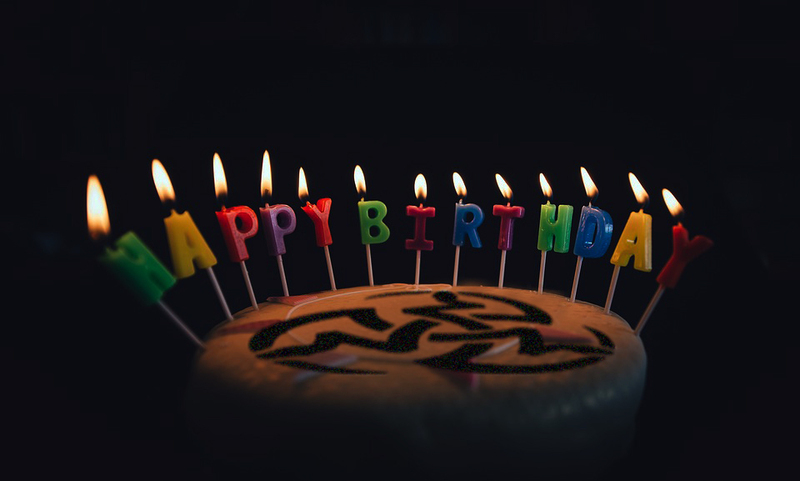 HAPPY BIRTHDAY VAMPIRE: ELDER KINDRED NETWORK 20 YEARS! This coming month we celebrate the 20th anniversary of this organisation, V:EKN. In no less than two full decades hundreds of people have volunteered their time and effort to further Vampire: The Eternal Struggle in various forms, primarily by arrangeing tournaments. If you think about all those other collectible card games that have come and gone in these years, you understand what a fantastic accomplishment this is. We, the current V:EKN officials, want to thank everyone that has been involved in the organisation since the start, and we hope for at least twenty more years of Eternal Struggle! There are still a few (not many!) packs of Berlin Anthology left at the PDA web shop, so take the chance to increase your stock of Ashur Tablets, Enkil Cog, Monastery of Shadows, unique V:EKN-created cards and all of the other good stuff included in the set. If you have seen the second hand prices at Ebay, you know that $30 per pack is quite a bargain. Pool up with friends to save shipping cost! Keep an eye open for more info at separate threads at the VEKN forum - these threads are marked “VEG” in the subject line. The Inner Circle member in charge of the VEG is Organized Play Coordinator Orian Gissler (aka TTC_master) - ask him or the announced local organizers if you have any questions! THE GANGREL REVEL AT SOUTH AMERICAN CONTINENTAL CHAMPIONSHIP 2017! The "Land of the Sun" as is known Fortaleza, a large tourist city located in the state of the CE, was the scene of another South American tournament. 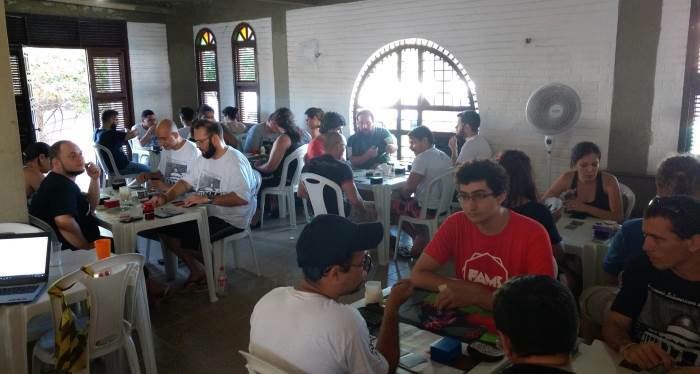 Players from different states were present, among them Amazonas, Amapá, São Paulo and Rio de Janeiro. 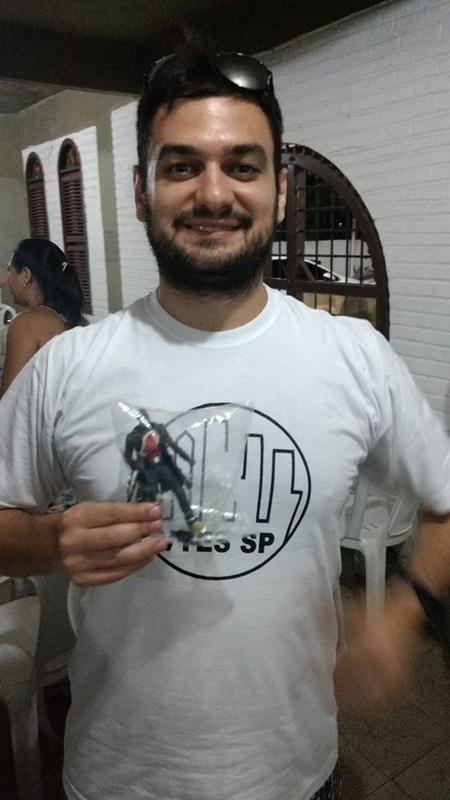 During the event, we stayed in a mansion with pool and individual suites, the impeccable organization was supported by Marcio Pinheiro (general organizer), David Orck (barbecue), Mauro (lunch), Renato Torres (t-shirts of the event), Fernandão (drinks), Elzo and Nilceu (awards). The SAC2017CE Champion was SP player: Elzo Benzaquen (#6010171) with a fully authored Gangrel deck! Follow this link of the deck list at the VEKN forum. Congratulations Elzo! We had 31 players in the SAC competition, we expected 50 players but unforeseen events happen and it is not always possible to make all the players confirmed. COMPLETE CACOPHONY AT AUSTRALIAN CONTINENTAL CHAMPIONSHIP 2017! The Australian Continental Championships has been held on the first Sunday of October for many years, and this year was no different. It coincides nicely with public holidays across a variety of states, although the Grand Finals of the country’s two great religions... er, I mean football codes... are held on the same weekend, so turnout is occasionally depleted depending on which teams makes it into the finals. Australia has been running a Continental Championship in some form or another since 2002. Despite the recent discovery of Zealandia, we’ve taken to calling it the Australia/NZ Championship in honour of our friends across the Tasman Sea, who frequently make the finals table or win the title. VTES in Australia and New Zealand face the dual challenge of relatively small populations and the tyranny of distance. Play groups are smaller than what may be encountered in other continents, and are geographically isolated. Our dedicated players from Townsville need to fly almost 700 miles to find their nearest playgroup, and travel 1,288 miles (2,073km – approximately the distance from Boston to Miami) to get to the Championships. Players coming from Wellington, NZ fly 1,600 miles over the Tasman Sea (2,575km – a bit more than London to Moscow) for their chance at the trophy. The trophy itself is long-standing tradition. 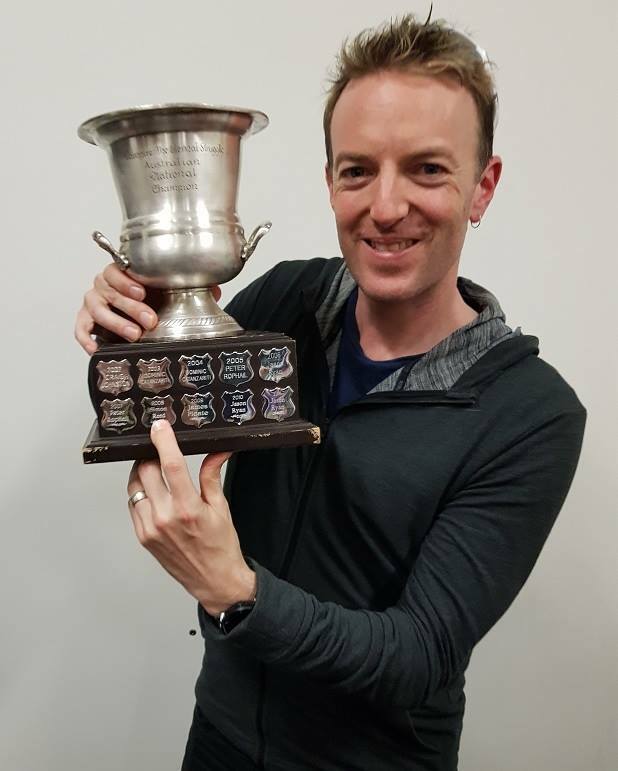 It’s known as the Matt Barnett perpetual trophy, in honour of a player who passed away several years ago (Matt has been immortalised in the game, with White Wolf kindly using his picture as Lord Ashton [Anarchs]). We’ve had nine winners over sixteen finals, with each name added to the trophy’s base as the years tick on. I must admit that when VTES went into a semi-torpor after the release of Heirs of the Blood I suspected that we’d never fill up the names, but I am very glad to be proven wrong on that front. Indeed, 2017 was one of our most successful years yet: at 35 players (including a couple of locals who had to pull out on the day due to sick kids at home), it was the second-largest Championship we’ve had, and only one short of equalling the 36 we got in 2007. The release of the Anthology Set was largely responsible for this spike in interest, and I want to thank Stephen Harris and Simon Reed for organising for enough copies of the Set to be shipped from across the other side of the world to arrive in time for the big day. One of our other players also designed custom VTES playmats for the finals table, while another donated a sealed box of Lords of the Night. As a frequent holder of sixth place on the Archon spreadsheet, I was keen to turn my luck around this year and built a Harbingers tap-and-bleed number. Round 1 started off well, with my Le Dinh Tho able to discard key cards from my predator’s Arika Soul Gem deck, while my Tariq Eats The World grand-predator shutting down the big lady herself. My prey was an Anneke guns deck, and I was able to lunge near the end to oust both him and my grand-prey in quick succession, giving me the game win. Round 2 started off as a more dicey affair. I had a Fida’i / Web of Knives swarm on my back and a Baba Yaga intercept deck as my prey, with an aggressive Presence-driven anarch bleed deck and an Assamite bleeder cross-table. With ten minutes left on the clock, all five players were down to a handful of pool – it truly was anyone’s game. Le Dinh Tho’s ability was once again critical, and I quickly realised that most players had few wakes or intercept in hand. Within a couple of turns, I steamrolled the entire table and got the full 5 VPs with barely a minute remaining on the clock. Thank you to Call of the Hungry Dead for block denial, I couldn’t have done it without you! Round 3 didn’t go nearly as well. A bloaty stealth-bleeding Black Hand deck at my back kept me on the ropes, and my Giovanni prey put their Acquired Ventrue Assets to good use and never seemed to drop below 10-15 pool for the entire game. I was playing a little too safely, and the game went to time with only one oust (my prey, taking down a Dmitra & Scout stealth-vote deck belonging to NZ’s Simon Reed). The final table was Khazar’s Diary > Nosferatu Archon bruise-bleed > Harbingers (me) > the aforementioned Dmitra stealth-voter > !Tremere power-bleed (first seed). I was second seed going in, and positioned myself where I did on the basis that the Giovanni were likely to swarm my defences and slow set-up, and there was little chance I could block the huge stealth generated by the vote deck. I was also conveniently placed on the potential Deflection chain, not that it often came to that. The top-seeded !Tremere focused on Governing down for a couple of turns before launching their assault. The Giovanni quickly brought out a range of unique allies, but few counters appeared on the Diary. It looked likely that they were stockpiling their Deflections for the barrage of bleeds, and not cycling through to the cards they need to advance. For my part, I wasn’t drawing enough of my Dominate (either modifiers or flicks), and while I was able to get the Brujah down to 4 pool I couldn’t seal the deal. An early Ivory Bow + Leather Jacket on Unre was enough to make my predator nervous, but I wasn’t drawing sufficient Fortitude in hand to stop a sustained assault on my minions. The first oust came 55 minutes in, as Dmitra, ably assisted by Scout Youngwood, launched a series of punishing votes against the antitribu sorcerers. The Giovanni only managed to score a few counters on the Diary, with their chance of forward momentum spoiled by the need to constantly use Sudario Refraction to grab Delaying Tactics to slow the Brujah advance. They eventually succumbed with around 10 minutes left on the clock, leaving the Brujah with 2.5 VPs, a game win, and their name on the trophy. This was Simon Reed’s second Championship victory, following up his 2008 win with Assamites. Overall, a fantastic day with excellent sportsmanship, an array of interesting decks and – most importantly - a chance to reconnect with friends from across the country who I’ve known for decades thanks to this great game. Check out Simon Reeds tournament winning deck at the VEKN TWD forum thread. 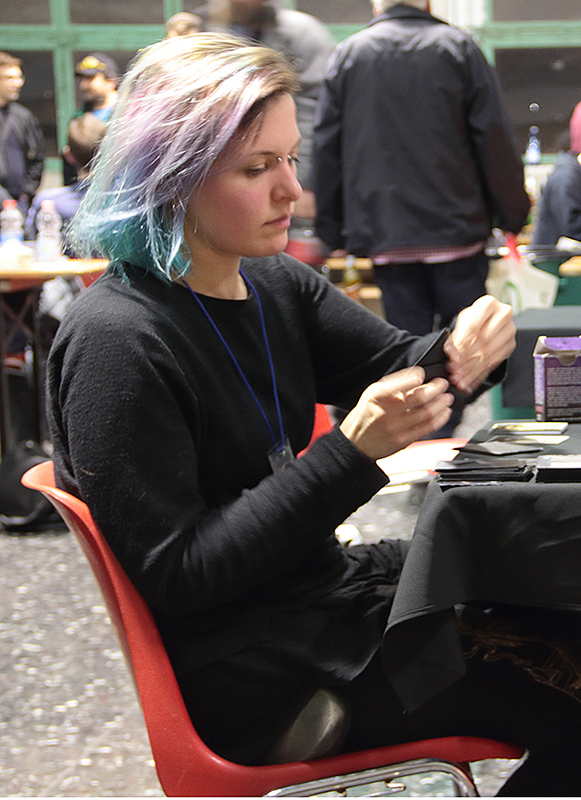 Noora Hirvonen of Finland is not only the artist behind cards like Matasuntha, André the Manipulator and Nar-Sheptha, she is also a skilled V:TES player. For example, she played the final table at this years EC in Berlin. We asked her just about the same battery of questions as we asked other artists – no special treatment for anyone! Noora, what are your background as an artist? Are you educated or self-taught? - Being graduated last year from Turku Arts Academy with BA in Fine arts, one can say I have a classical training. I have dabbled with digital painting since high school, but I only started learning it in earnest when I was signed up to make two illustrations for the Unaligned. Being a pc-gamer, game art has always had an impact on me, and I had this idea of a proper tcg artist being a mad-skills-photoshop-wizard, so obviously I had to set that as my goal around the time. Have we seen your work in other games, or at other places? - Apart from V:TES-illustrations, most of my work is traditional and owned by private people, or buried somewhere in my stashes. My exhibition activity is quite low, since I am not a full-time artist, but maybe in the future I will embark on that path. There are some projects with more public interest on the way. - I prefer expressive, colorist painting on large surfaces, but unfortunately my current lack of a studio space makes digital painting mostly the best option for working right now. Pencil drawings are the basis of my artistic work, but they seldom turn out to be more than treasured visual notes. Tell us a bit about the piece of art we are previewing in this newsletter. What technique have you used? How were your thoughts working on it? - The illustration we're talking about now is part of a circle of vampires that I designed for the expansion, so I it would be hard not to comment the making of them as a whole, going back and forth between them in progress. I set up my friend to model for the circle of vampires, since I was unsure in the beginning if I would be able to keep the look of the character constant through all five of them. I took photographs with her and used them later for reference. This one is the first one, and it happens to have a photo collage as a background, altered with painting, which is unusual for me, but worked well enough here. The character I just drew on (with Wacom Intuos Pro and Photoshop) keeping the references close by. I googled a lot of piercings for ideas, but at the same time my friend was a perfect fit for the characters so she inspired me a lot overall. Also important to note is that when [V:EKN Design Team leader] Ben Peal asked me to make the five of them, he sent me a lot of funky references and underground Budapest music tips to work with, so I hope he is pleased with them! - Portrait illustrations are right up my alley, and I like to include quirky details to them. I feel like games in general need a broader spectrum of realistic characters, regarding but not limited to gender stereotypes, and I happily will contribute to that as sneakily as possible. I also do live portraits and colorist landscape paintings, which more of the mainstream interest. Making contact through art is what makes portraits so endearing to me. "No one holds command over me. No man. No god. No Prince. What is a claim of age for ones who are immortal? What is a claim of power for ones who defy death? Call your damnable hunt. We shall see whom I drag screaming to hell with me."